Yes, you might well look surprised to find Huda on BBB! After being told it wasn’t the right audience for the brand, I’ve explored things a little more, spoken to the right people and here we are. Communication breaks down often, so I’m just pleased to have picked back up with the brand so you can see what it has to offer. It kind of does raise some questions though about the people who sit between the brand and the content creator. 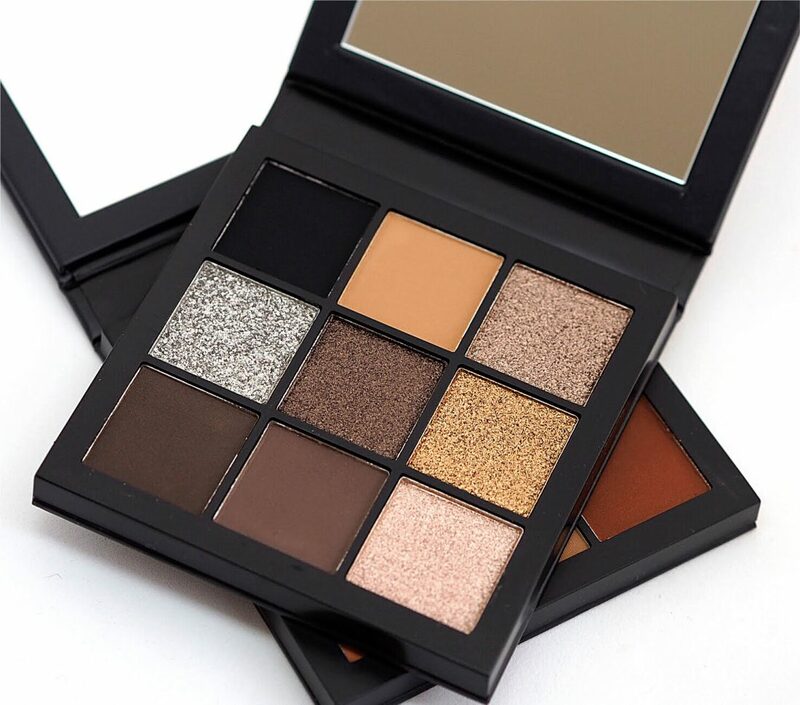 The Obsessions Palettes are squares of 9 colours – I have Smokey Obsessions (darker) and Warm Brown Obsessions. They’re jewelly, compact and intense. This is definitely the one for me! 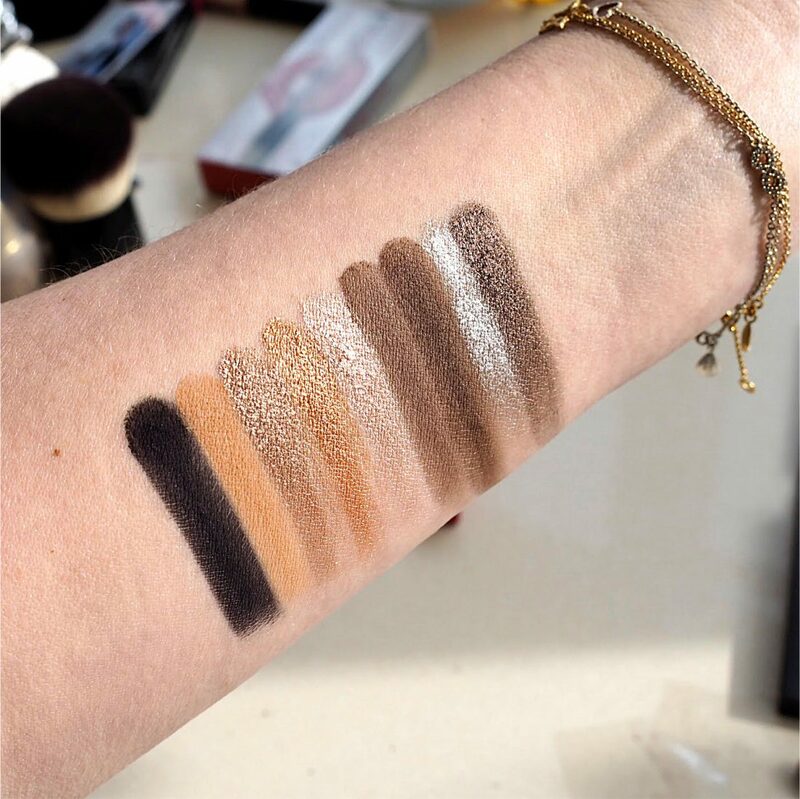 Smokey Obsessions has more shimmer shades in it – they’re warm and smooth and give plenty of pigment and sheen. Strangely, I found the quality different in each palette – the Warm Brown palette doesn’t swatch nearly as well or with as much pigment at this one. 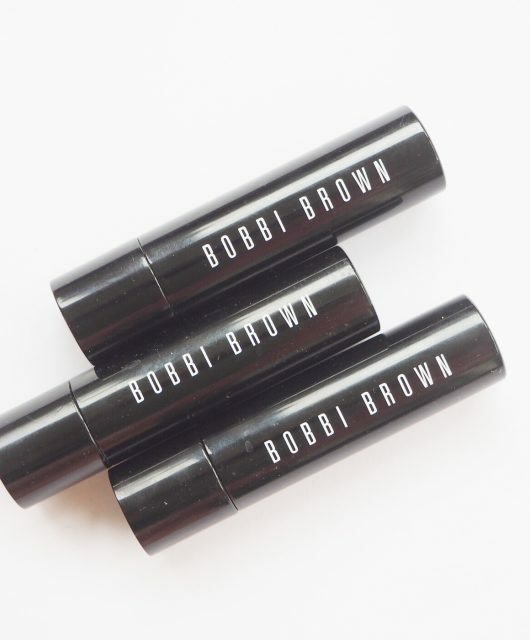 Often the shade of black is your indicator and this one is a very deep and rich black – sometimes you’ll need to go over and over to get the depth you need but not with this. 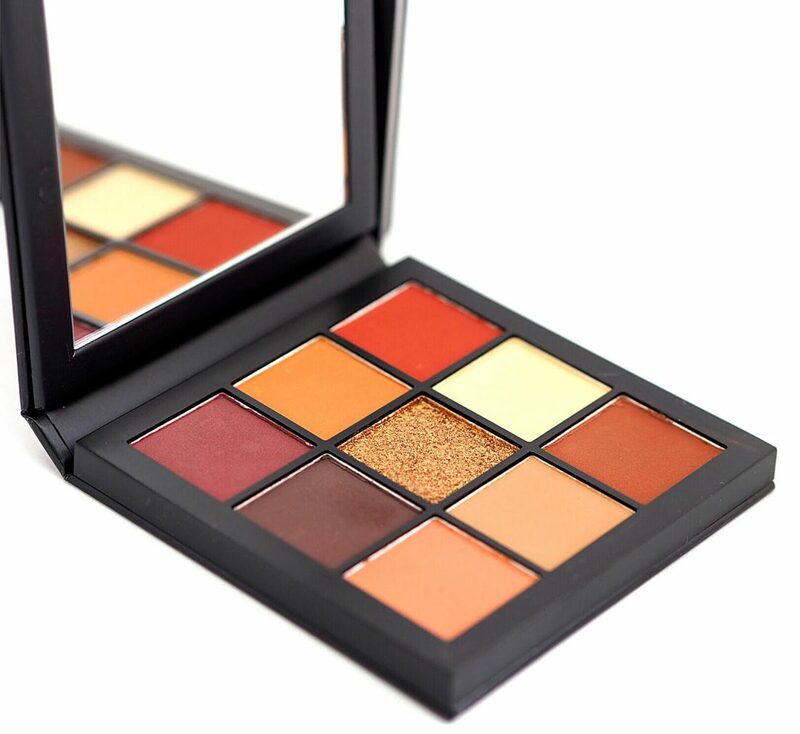 I would easily wear this palette – and most of the colours too – for day or evening looks. You see the latte looking shade? 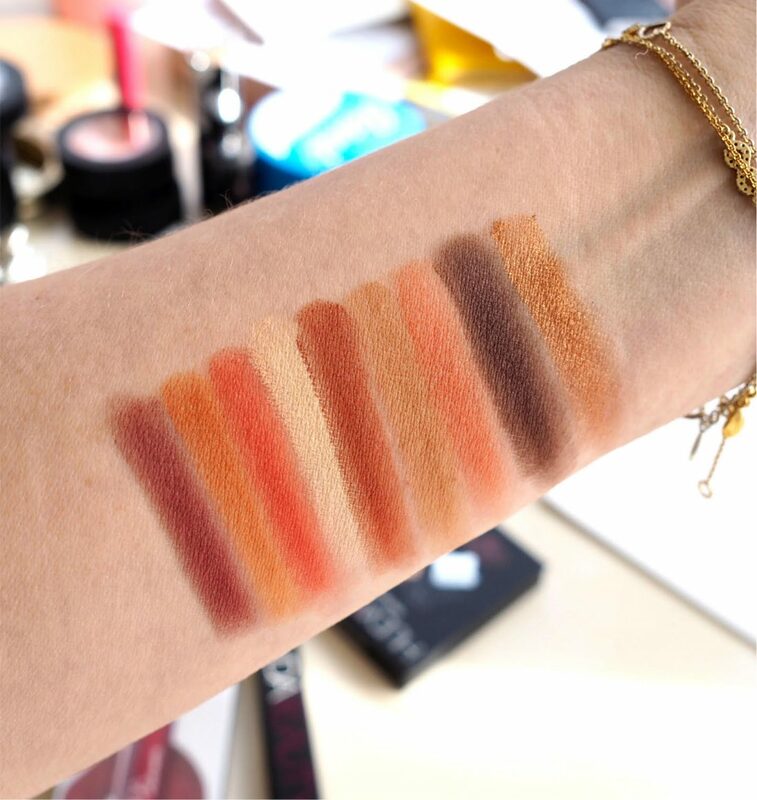 I’ve been wearing that type of shade a lot recently as a base colour and it looks beautiful – very suede-y and eye wakening. The shimmer shades are very soft in the pan so don’t carve in at the same intensity that you do with the matte shades. So, in Warm Brown Obsessions, there is only one shimmery shade. The rest are mattes. In theory I love this colour selection – in practice, they just didn’t have the depth that I was expecting. That’s not to say you won’t get the depth if you work at it and in some cases that’s better than a smack of too much colour that you then need to spend a year blending in, but it didn’t live up to the quality of the Smokey palette. The shade that I really love from this selection is the wine colour at the beginning of the swatch. They’re both £25 which somehow up against the £56 palettes seems more reasonable even though I know they were bigger! You can find them both HERE (free postage over £15). 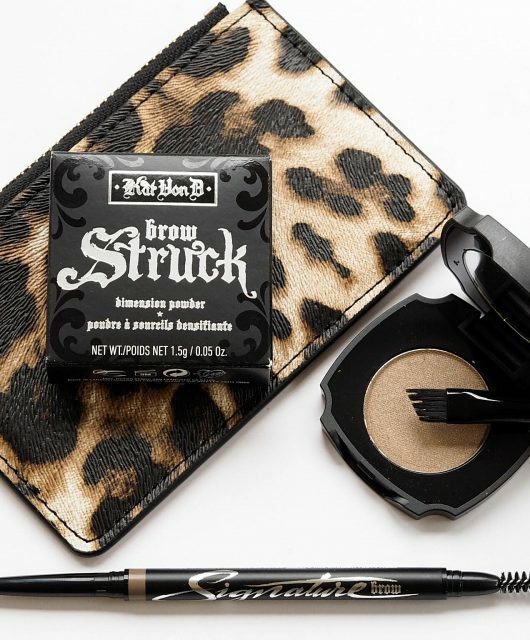 I definitely don’t need it – I have several smoky palettes – but oh how I want it! As a half-arsed food blogger I have wondered a couple of times about the gate keepers for brands: on a few occasions my opinion of a brand has been irreparably damaged by the PRs I have interacted with. I love both of these palettes! I think I prefer smokey obsessions more, but they’re both lovely. We aren’t the right audience? Charming….shall I stop buying from them then? The Smokey Obsessions Palette is easily one of my all time favourite palettes, the shades are just beautiful!!! quickly becoming my favourite too. I’m glad they have come to their senses! 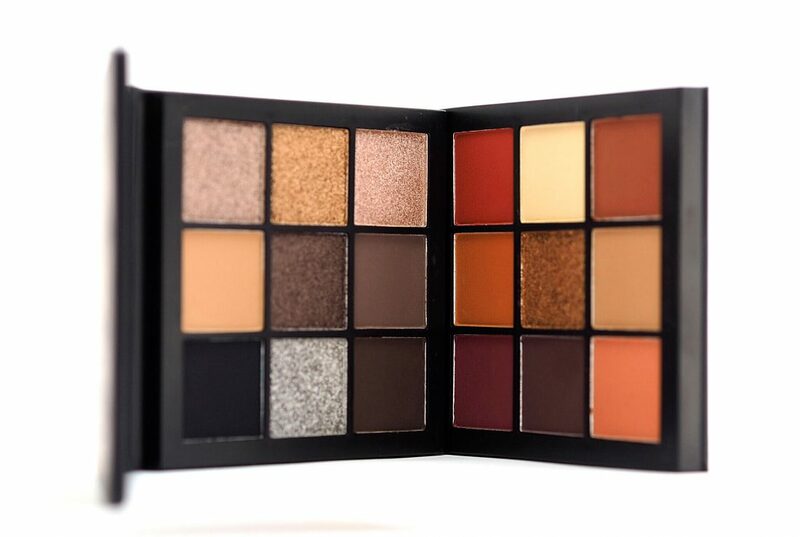 I didn’t really get the fuss about Huda as the big palettes were not my thing and I’m not a bronzing/contouring person either but that Smokey Obsessions palette is gorgeous and despite having the UD Smokey I really want this one too now! Honestly, I’ve been using the Smokey and the pigment is so intense.. it’s a bit droppy but the results are wow. I’m so pleased that you are able to review them. You have an audience that trusts your opinion and know you review things fairly. From what I can gather the shimmer shades are the best forumlated ones, which is what you have confirmed. There was a stunning duo chrome pinky purple in the Desert Dusk palette which is beautiful. I just can’t get the whole palette for one shadow.